Childhood is that special time when everything seems magical! But what is the best part of being a kid? Celebrating your birthday of course! 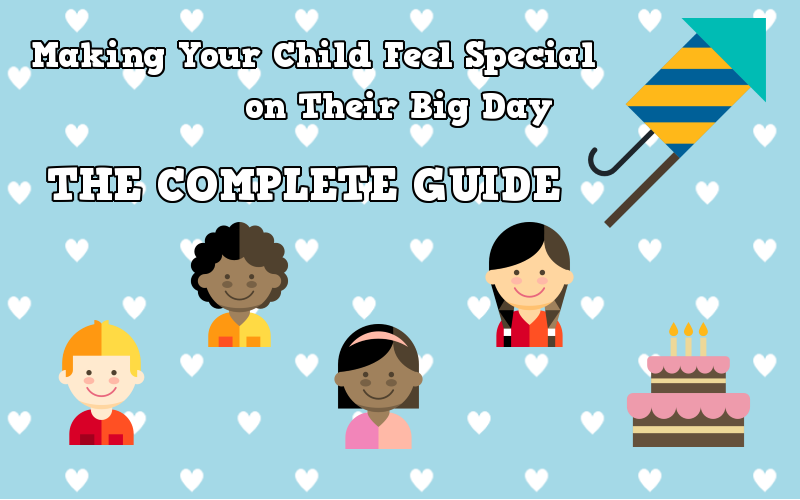 Birthdays only come around once a year, and it's the perfect opportunity to remind your child how special they are. After all, the day is all about them, isn't it? The good news is that showing your child that you cherish them doesn't have to be a big production.  I want you to see all of the best ideas in one place. These are all really cool imaginative ways to really make their birthday extra special. You are going to LOVE this guide. Many of the items on this list are incredibly easy things to do on their birthday and are a good reminder that the best gifts come from the heart. 1. Birthday Scavenger Hunt: Place a sign on your child's door to start. Provide clues that them to other clues around the house that will eventually lead to their big present or a special surprise. While setting up the scavenger hunt, it might be easier to start by writing the last clue first and hiding the present. Then write the clue that comes before the last, and hide that clue and so on until you reach your starting point. If you need inspiration for a special gift, check out our picks of unique gifts for kids. 2. Balloon Curtain: Hang balloons in their bedroom doorway for them to walk through before they wake up. It's the childhood equivalent of walking the red carpet. To make this effect even more special or dramatic, try filling up their room with 100 helium balloons. Tie lovely strings or ribbons to the balloons so the children can run through them. 3. Balloons in A Box: Adults love getting packages from Amazon in the mail, so why should kids be any different? Purchase a large cardboard box. Fill the box with bright and colorful helium filled balloons or a special shape or birthday message balloon. Close it up, leave it in front of their bedroom door and let them enjoy the surprise that’s about to fly out. 4. Fill a Balloon with Money: Cut the top portion off of a water bottle and use as a funnel. Wrap the deflated balloon around the mouthpiece of the bottle and stuff money that is rolled up along with some fun confetti. Simply pull the makeshift funnel out, blow up and tie the balloon. Don't forget to fill the balloon with coins (or dollars, if you're feeling generous). 5. Candy Birthday Cake: Buy a bunch of their favorite candies and chocolate bars and organize them to look like a big birthday cake! Candy bars work best for this. 6. A small gift for each year: Get them as many presents as how old they are. For example, if your child is turning 5, you could get them five small, individually wrapped gifts. 7. Make a special birthday plate to use year after year: You can decorate and write their name and birth date around the edge. This makes for a fun, interactive craft that you can remember each time you use the plate. 8. Schedule a special birthday phone call: Did you know that Nick Jr. sends kids special birthday wishes over the phone? Your child can receive a call from their favorite character. Learn how to schedule a call here. 9. Leave surprises under their pillow: You'll soon replace the tooth fairy as your child's favorite nighttime visitor. 10. Make a slide on the stairs: Lay panels of cardboard over the steps and pillows at the bottom. Parents might want to supervise this one. 11. Make a birthday countdown: Do a craft with your child two weeks before their birthday and create a clever and unique way to display a countdown for the big day! it can be as simple as a paper chain or incorporate a more complex design. This helps with younger kids to remember their birthday and counting days. Older kids get more and more excited as their birthday approaches. 12. Birthday in a Can: Better than steamed tomatoes or creamed corn, these cans contain a special birthday surprise and are very easy to make. 13. Go to a live taping of their favorite TV show: Live audience tapings are usually free. You just have to subscribe or make a request from their direct website, if they have one. Otherwise, this website for free TV show tickets is a great place to browse through to find a unique thing to do on your child's birthday. 14. Present them with a birthday crown: Make a fun crown or buy a colorful, furry, or sparkly hat or crown for them to wear all day. Creating a crown together is a fantastic birthday craft activity. They'll feel like birthday royalty. 15. Make a donation to a charity of your child’s choosing: If your child is passionate about animals, nature or helping those in need, consider making a donation to a specific charity or organization in their name. 16. Happy Birthday Banner: Print one from online or craft one yourself, or simply go to the dollar store. Kids get excited just to see birthday décor or anything with their new age on it around the house. 17. Birthday wishes from the family pet: While your kid is probably expecting birthday greetings from mom, dad, grandpa, and auntie, they'll be very surprised when they receive a card from their cat or dog. This is a great idea for little kids who might be young enough to believe that Fluffy really wrote them a card. 18. Game time: Let the birthday boy or girl pick out a game or activity to play after dinner with the entire family. It can be their favorite board game or an interactive one like Simon Says. If your child likes sports, take time to shoot hoops in the driveway or kick a soccer ball in the yard. 19. Decorate their bedroom: Go for a birthday home makeover. Hang streamers across their ceiling, add balloons and anything festive that they really like. Bonus points if you design it with a theme in mind. 20. Mirror, mirror: Write a birthday message on the bathroom mirror or tape up a birthday note. 21. Cake Batter Pancakes: What’s better than dessert for breakfast?! Tastes of Lizzy T’s offers an incredible Funfetti cake batter pancakes recipe worth waking up for. Top them off with some sprinkles and a birthday candle. 22. A Fun and Colorful Breakfast: This can be something small like cutting fruit into fun shapes and drawing a smiley face on the pancakes or in their oatmeal. You can also do something more intricate such as, making breakfast in the shape of their favorite cartoon characters or taking all the cinnamon bun rolls and placing them in the shape of their new age number. 23. Celebrate in Numbers: Purchase a shirt with their new age on it or a button or put signs around the house. Everything you do that day should reflect the number of the age they are turning. If they're turning five, for example, do five activities together, enjoy a five-course meal or visit five new places. 24. Lunchbox love: Nobody wants to go to school on their birthday, but moms and dads can make the day special by packing a note or card in their lunchbox. 25. Lunch Presents: Individually wrap the items in your kid’s lunch box with wrapping paper. 26. Let your child help decorate their birthday cake: Kids love getting involved in things their parents or older siblings are doing. Their cake will taste so much sweeter knowing that they were the master chef behind it (with mom and dad's help, of course). 27. Turn their bath into a party: Dye the water, add sparkles, hang up decorations and have a party in the bathroom. This is a great idea for toddlers who still need help with bath time. 28. Musical Tribute: For the musically inclined, you could write your own song or rewrite the lyrics and write a personal version of the traditional Happy Birthday Song. For the less inclined, a simple mix CD or playlist would be just as effective. The mix could include their favorite songs, songs that remind you of your friendship or any relevant happy songs. 29. A week of letters: Send a birthday card every day of their birthday week. 30. Write a love letter or poem for or about them: Include details about what makes them special. 31. Bake them a cake or dessert: Once you figure out their favorite desserts or cake, finding a recipe to follow online is super easy. There are 100s of recipes for just about everything online, dig around, you might come across something new, or something that combines two or more of their favorites into one amazingly delicious birthday dessert! 32. Box o' Notes: Collect notes from friends and family: This can include well-wishes, memories, jokes, drawings, pictures, and messages. Put them in a wrapped shoe box and present it to your child. 33. DIY custom stamped initial bracelet: Head to the local craft store to pick up materials needed for making a simple yet elegant bracelet. See a detailed tutorial here. 34. Go on a new adventure: Find a new place to travel to for an exciting birthday adventure. It can be an attraction you've always wanted to visit or explore a park or trail near your house. 35. Make them custom jewelry: Find a dozen easy hand-made jewelry ideas. This is a great project for tweens and teens. 36. Plan a Surprise Party: The classics have been around a long time for a reason, and is one of the most effective ways to make a birthday special for your children. 37. Pack a picnic: Pack everything you’d need for a yummy lunch into a cute picnic basket. Then have a picnic in your backyard, at the park or near the lake. 38. Fold origami hearts in a gift box: Learn how to make heart-shaped gift boxes that you can fill with candies or small treats. 39. Dump affection on their head: Fill a pillowcase full of confetti and glitter and dump it on their head. Watch their expression go from confused to delighted as confetti rains down on them. 40. Courtesy call: Aunts, uncles, and grandparents can call and ask about how they are doing on their special day. 41. Leave hidden notes for them: All day, they'll be stumbling across little messages hidden around the house or car. 42. Snail mail: Have letters sent your house, as opposed to email and texting. People love getting mail, kids especially like things addressed to them with their name on it and everything. 43. Slideshow: Compile pictures, quotes, inside jokes and messages for a presentation all about them. 44. Decorate their locker at school: Come in early and make their locker look fabulous. Or, you can buy the materials and outsource the set-up to your child's closet friends. 45. Get scrappy: Make a scrapbook of personalized pictures, quotes, and messages. 46. The “No Work” Birthday: If your child has regularly scheduled chores, they can get out of doing them for one whole day. If Tuesday is their night to do the dishes, they don't have to do it if it's their birthday. 47. Tickets to their favorite team: If your child loves baseball and their birthday happens to fall in the spring, why not take them to a baseball game? Minor league tickets are relatively inexpensive and easy to come by, and most places offer birthday party packages or special group rates. You can even contact the stadium's promotions office and ask about putting their name up on the Jumbotron and wish them a Happy Birthday in front of everyone. 48. Go to an amusement park: Spend the day on thrilling rides and get their adrenaline flowing. Play games and win prizes. Eat greasy food and spend the whole day outside. Unless you’re lucky enough to have an indoor amusement park near you. 49. Rent a party bus for the night: Get a bunch of friends together and take a ride around your town for an hour listening to good music and hanging out with good friends. You don’t even have to plan a destination! 50. Day trip: Travel to a major city or someplace they’ve never been. 51. Handmade Birthday Cards: Take some time to draw or craft a personalized card. 52. Make It a Birthday Week or Weekend: Plan different things to do for their entire birthday week or book a getaway trip for the weekend. 53. Birthday Lunch Date: Show up unexpectedly at school and go out for a birthday lunch together. 54. Care package: Assemble a care package or use a service that will put together the perfect gift box for you. 55. Chauffeur them around: Drive them in the family mini van or even hire a limo if you're feeling fancy. 56. Write a birthday message on the car windows: While on the road, encourage drivers to honk and help celebrate your child’s special day. Beep for birthday wishes! 57. Register a star in their name: Every time they look up at the night sky, they'll know they have a special star just for them. 58. Put money in a weird gift: Fill an unexpected item with money. For example, gift wrap an umbrella and when they look at you in disappointment, have them go outside and open it up to reveal the real surprise! Hang some singles with string and tape from the inside of the umbrella. 59. Money flower: Learn how to make a rose (or a dozen!) out of money. See a helpful tutorial here. 60. Birthday itinerary: Plan a "Birthday Schedule" of all the fun things and places they love. 61. Present a birthday gift every few hours: Be sure to save the best gift for last! 62. Twelve Days of Birthday Fun: Much like the "Twelve Days of Christmas," do something every day for the two weeks leading up to your child's birthday. 63. Surprise Birthday Dinner: Hop in the car, don't tell them where they're going and see the look on their face when you pull up to their favorite restaurant. 64. Make your own ice cream cake: Planning a birthday party, in general, could get expensive. Save some money and create your own custom ice cream birthday cake. you don't have to be a professional confectioner; it's actually quite a simple recipe. 65. Money origami: Rather than shoving dollar bills into an envelope, learn how to fold money into amazing shapes. 66. Maid service: Offer to clean their room for them, especially if they are a messy child. Remind them that you're not the permanent maid, and they're only getting out of this chore once a year! 67. Text messenger: Send funny texts throughout the day to make them smile. 68. Flash mob: Organize a flash mob and sing Happy Birthday. Take them to their favorite sports game, event or the mall. Any place you can plan a big enough surprise, have music loud and playing along with the people flash mobbing. 69. Write their name in the sky: Simply write their name or pen a special birthday message up in the air. Find skywriting services in your area here. 70. Go skydiving or bungee jumping: What better way to celebrate your life and the day you were born than with an adrenalin rush? 71. Book a spa day: Be pampered for the day at a local spa. Groupon is a great source for finding steals and deals on spa amenities. Additionally, you could gather some of their favorite products and curate a basket loaded with things to indulge in for a spa-at-home experience. Perfect for mother-daughter birthday bonding. 72. Flower Bomb: Surprise the birthday child with bushels of their favorite flowers. This works best when they stumble upon the bouquets in an unexpected place, such as the shower or the car. 73. Have a movie marathon: Set up a comfy seating area or fort in the living room and stock up on the popcorn and snacks. Invite all of their friends over for a sleepover or it can be just the two of you. 74. Scratch off lottery tickets: Kids aren't allowed to gamble, but you can make your own lotto scratch-offs and have your child redeem their winnings for candy or prizes. 75. Date Night in a Box: While this post suggests gift boxes for couples to make for date nights, the same concept can be used for kids. 76. Unplanned road trip: Load up the car, grab your kid and drive wherever the road takes you. 77. Golden birthdays: When your child turns the same age as their date of birth, make that their super special birthday. 78. Bookish Birthday: Get them a special book each year and write a personalized message on the inside cover. Guests at their birthday party could even sign and write their own messages. 79. Happy Birthday to You by Dr. Seuss: Read them this birthday classic from the man behind The Cat in the Hat. 80. Dollar days: Give them a dollar for every year old they are. this is a good exercise to teach younger children counting and the concept of money. 81. Hot/cold gift hunt: Hide their birthday gifts all around the house and play the “hot/cold” game until they find them all. 82. Special Delivery: Have a bouquet of flowers delivered to them at school. 83. Random Acts of Kindness: Teach your child that sometimes, the best gift is actually giving to others. This resource lists 100 small but meaningful gestures that are easy for kids to do. 84. Plant a tree: On their first birthday, plant a tree in the backyard and take a picture. 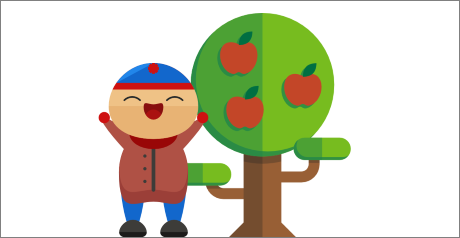 Each year on the birthday, pose for a photo to see how much the tree- and your child- has grown. 85. Birthday Time Capsule: Each year, put that year's birthday memories into a time capsule. Open it up on the morning of their next birthday. 86. Write a letter each year: Be sure to include a $20 bill as well. Save all of them up and present it to them on their 18th birthday. Not only will they have a little bit of money, but they’ll have sweet notes from their parents from their entire childhood. 87. Roses are red: Looking for a way to make a birthday special for your daughter? Dads can start the tradition of giving her a rose on her birthday. For younger kids, place a single rose in a plastic vase or mason jar. Treat your daughter like a princess and let her know you’re the only man that will ALWAYS be on her side. 88. Celebrate a half birthday: Make the six-month mark just as special as their actual birthday. If you do it as a surprise, they won't be expecting it. 89. Story time: Tell your child the story of the day they were born. It makes for an interesting story, especially if Mom went into labor when she was least expecting it or if something memorable happened on the way to the hospital. 90. Adoption Story: If you are the parent of an adopted child, tell them, with the appropriate level of detail for their age, the story of their adoption. For younger children, this reinforces the idea that Mommy and Daddy chose to bring them into the family. 91. Special birthday haircut: Allow your child to get a haircut you wouldn't normally let them get. This could be (temporary) hair dye for girls or a rad mohawk for boys that can be later shaved off into a buzz cut. 92. The month of Me! : Rather than having a birthDAY, why not have a birthMONTH? Do one thing each day for the entire month leading up to their birthday. This is a great idea for kids whose birthdays fall towards the latter half of the month. 93. Birthday Redo: Start a tradition of always giving them the same thing every year. Each year, they'll look forward to receiving their annual bouquet, chocolate or book. 94. Birthday throne: Designate and decorate a birthday chair. You don't have to go all out; keep it simple. Little kids get excited for little things, like a birthday balloon on the back of their chair at the dinner table. You could tape a banner around the back of the chair or decorate it however they’d like. 95. Confetti trail: Start at their bedroom and lead them to the bathroom, to the kitchen and all over to the house, ultimately leading towards a birthday surprise. 96. Place of honor: This idea works best with a white/black table cloth. Just to add a little color or sparkle and something special to make their birthday meals at the table more fun! 97. Birthday Affirmations: Everyone loves to receive a little praise now and then. Have friends and family list attributes they love about the birthday boy or girl. The number of things they list can correspond with how old they age. 98. Balloon Avalanche: Surprise your kids with an avalanche of balloons as soon as they open the door. While they’re sleeping, tape streamers horizontally and crisscrossed loosely across the door, then stuff balloons in behind the streamers or plastic wrap. This take on a classic college prank makes for a fun way to wake up on your birthday. 99. Breakfast in bed: This idea isn't just for Mom on Mother's Day. Prepare their favorite breakfast and display the food and drinks in a fun and unique way on a serving tray. Bring it to their bedroom for a nice meal they don’t even have to get up for. 100. Measure their height: Establish the tradition of measuring their height on their birthday. Pick a spot in your house to keep track of their growth. Every year on their birthday they will look forward to seeing their progress and how much they’ve grown over the year. 101. A special meal: Going out to a restaurant is a great idea, but nothing beats their favorite home-cooked meal. Best of all, you can enjoy a family diner together. 102. ...and dessert: Ditto for after dinner. Bake their favorite cookies, whip up a cake or even have an ice cream sundae bar. 103. Birthday Interview: Ask them the same five questions every year, and see how their answers change as they grow up. Chances are, their five-year-old dream of being a superhero won't be the same when they're ten. Use this printable activity sheet to get started. 104. Fill their room with balloons: Nothing says birthday like balloons! Blow up lots of brightly colored balloons, or their favorite colors and cover their bedroom floor with a sea of birthday balloons for them to walk through. What will you do for your child's next birthday? Wouldn't it be great to do every single item on this list in one day? You, of course, might need a few birthdays to accomplish every item. These are simple, cute and inexpensive ways to show your child how special they are. Best of all, the majority of the ideas on this list are activities and projects that you can do together. While your child will outgrow the "hot new toy" they just HAD to have when they were eight, they won't forget the special afternoon birthday road trip you took together. Who knows - maybe you've discovered some new birthday traditions to create magical birthdays for your kids year after year. Make sure to provide feedback by leaving a comment below about what you have planned for your child's next birthday! How about hiring a fun entertainer for the big day? Party entertainers are larger than life and can infuse more than just a little magic. A unique birthday party entertainer is a great way to make your child's birthday party memorable and delightfully special at the same time! Find clowns, magicians and more! To find entertainers in your area click here and then click on the state that you live in! Help us improve on these ideas! Have you ever incorporated one of these ideas into your child's birthday? Do you have an idea that you would like us to add to this list? If so, let us know in the comments below. Also be sure to share these ideas with someone who is planning a birthday! Still, need a way to make this birthday extra special? Take a look at our kid's gift guide. In our online store, we have nursery gifts, kids furniture and toddler gift ideas for the younger kids. For the older kids, make sure you see our hand-picked gift ideas for kids. Get them a gift that is unlike anything they're ever received before. See FunNewJersey.com's guide to the best monthly subscription boxes. This way, they will be excited each month to get their birthday present in the mail. It's never-ending happiness! Check out our top choice for a family-friendly subscription box here. Try throwing your daughter a birthday party at one of these cool science venues! Girls aren't often given the ability to explore this growing field, so their next birthday might be the perfect chance to fall in love with a STEM field. You can also write your child the perfect birthday card. We have handwritten hundreds of unique birthday wishes for your daughter, son, or anyone else in the family. You can even put those birthday wishes in your own card with our free invitation maker. We have also been researching birthday traditions from all over the world. Perhaps your little dreamer would like to celebrate in a different way this year!